The holiday celebration continues as we now countdown to the New Year! 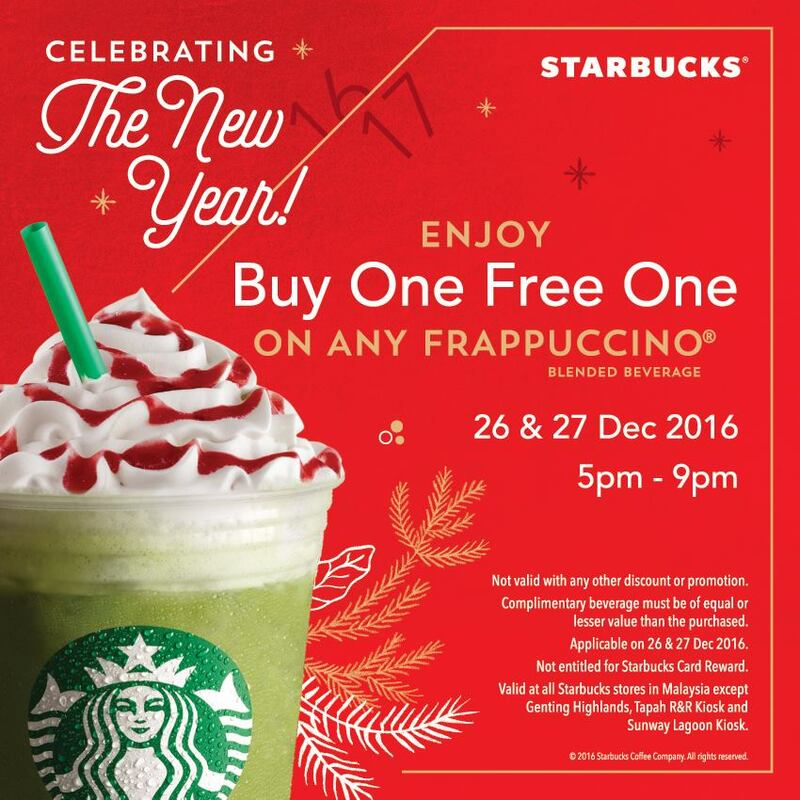 Tomorrow and 27th, enjoy Buy One Free One on your favorite Frappuccino. Merry Christmas and Happy New Year! Applicable on 26 and 27 December 2016 only.